From then on, a selection of ingredients are hand-picked for you – with the impressive results being brought to press by some of the biggest publications around. Here, we review WellPath in full detail. WellPath isn’t your typical supplement. Through the consultation process, the company will find out exactly what you wish to achieve from your body before picking the exact ingredients that can help you with these goals. The ingredients can help you in all sorts of ways. Whether it is finding more energy to hit the gym, having that extra libido to go a mile further in the bedroom or looking to fine-tune your general mental focus – WellPath can help. All of the ingredients are sourced with the highest purity and potency. In other words, everything that enters your body is of the upmost quality. WellPath is exceptional value for money when compared against alternatives, although the fact that the manufacturers provide a 7 day free trial should make it more appealing to those who are looking to protect their pocket. This is a product which is covered by some of the biggest publications around; think Cosmopolitan, Glamour, Details and Well+Good. As anyone who has read these publications in the past will testify, they don’t cover anything unless it is worth its salt. It’s for this very reason why the company behind WellPath has gained such a positive reputation in such a small period of time. Their product might be young, but they already have the press eating out of their hand because of its success. The ingredients that are provided by WellPath must be stored in a cool, dry place and tend to lose their efficacy after about a month. If you are currently taking any prescription medication, be sure to consult your doctor before using WellPath. 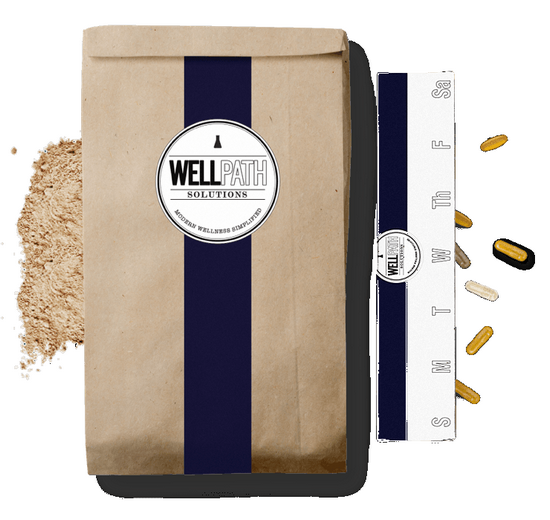 The way in which WellPath works makes it completely different to any sort of supplement we have seen in the past, which is why it has made such an impression. For a start, this isn’t a product which involves a standard ‘order process’. Instead, you will be put through a consultation, which will dictate exactly what you wish to achieve from your body. This could be anything from extra energy, to enhanced libido – the choice is yours. Following this consultation, WellPath will prepare a selection of ingredients to help you achieve these goals. The fact that these ingredients are picked out especially for your requirements mean that there are no ‘fillers’ and everything that enters your body is doing so for a reason that you specified in your initial consultation. Additionally, the whole process is monitored, meaning that any ingredients that aren’t working effectively might be replaced in time. The fact that WellPath is a completely tailored solution gives a huge indication that it will work for most people. We were also encouraged when we looked at the results from other people who had used the product. For example, one woman wished to improve her immune system which was under constant threat due to a high-pressure job. This was comfortably achieved via the vitamin B and C which were included in her diet. Additionally, the program can be tinkered to match other people’s goals and this impressed us immensely as well. For example, another female found that she struggled with energy levels in the morning. This is where WellPath suggested guarana, which is a natural substance designed to provide energy. Considering the fact that all of the vitamins and ingredients that are recommended have scientific proof behind them, we are confident that WellPath will work for the majority of people who try it. As well as being comprised of natural ingredients, WellPath’s initial consultation means that you will only be consuming components that your body is going to agree with. As such, the chances of side effects occurring are extremely slim to say the least. WellPath costs just over £40 for a one month supply. Considering that this includes an initial consultation and completely natural ingredients, it represents extremely good value for money when compared against rival supplements. 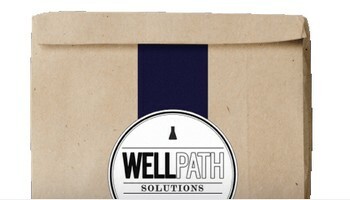 You can buy Wellpath online from the official website. Through this review we were amazed at the tailored nature of WellPath. Most supplements are designed for the masses, but this takes a much more unique approach and means that your direct requirements can be taken care of. For this reason, we would at least recommend that you take advantage of the free trial that is provided. WellPath4.214285714285714George Allen2015-07-18 09:30:04Over the years umpteen supplements have hit the shelves, but finding one that satisfies your each and every need is perhaps easier said than done. If you have any questions or concerns, please refer to the official WellPath website, or contact the merchant directly. Only comment below if you have used WellPath before and you would like to share your experience. Don't forget to use the star rating system.